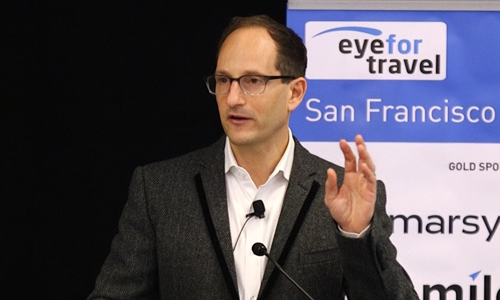 Eye For Travel speaker Stuart Greif featured on DojoLIVE! This awesome speaker joined us as guest interviewee on DojoLIVE!. Watch the interview, and if you have any questions, or wish to contact the speaker or the DojoLIVE! team, you can do so on Twitter or via email. Microsoft’s Senior Executive for the Travel, Hospitality & Transportation Industry. Stuart Greif brings over 20 years of global strategy, technology, customer and P&L leadership experience. At Microsoft, Stuart and his team help companies achieve more through applying Microsoft’s broad and deep capabilities and those of its world class partner ecosystem to solve high value business problems. His team focuses on working with companies in developing innovations that change their industry, driving world class customer and employee experiences, optimizing operations and transforming products and services.